Bone conduction technology creates mini vibrations, sending sound through the cheekbones, directly to the inner ears - for awareness and comfort. Enjoy twelve hours of continuous music and calls on a single charge from the 1 inch x 2.5 inch battery compartment. Titanium headband is lightweight and flexible for durability and portability. Cord is 4 feet long to easily reach your phone on-the-go. PremiumPitch Plus guarantees a premium audio experience, including wide dynamic range and rich bass. Repels sweat, dust and moisture, from workouts to wicked weather. 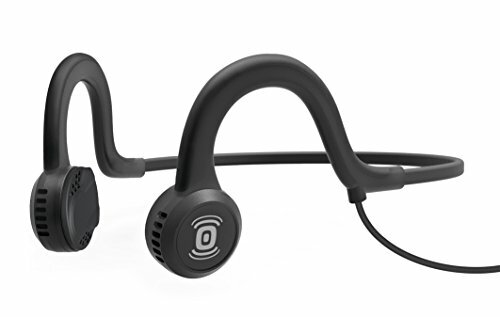 If you have any questions about this product by Aftershokz, contact us by completing and submitting the form below. If you are looking for a specif part number, please include it with your message.